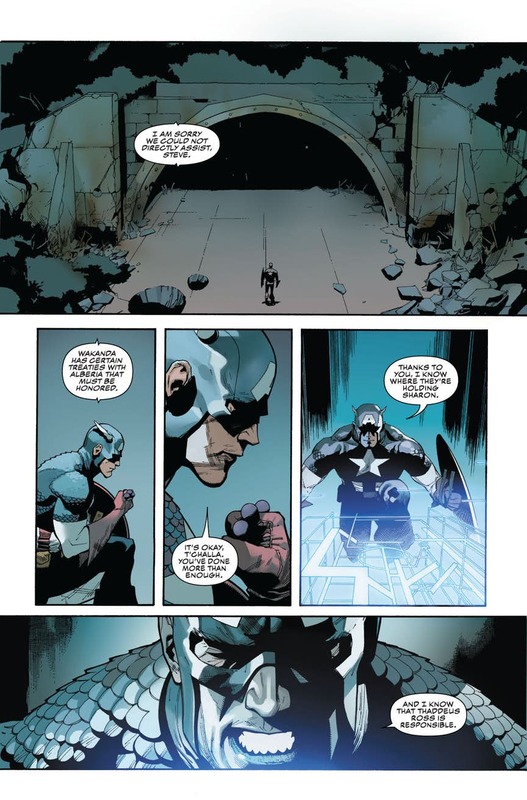 Posted on February 14, 2019 by thelostlighthouse	in Comics, Literature and tagged Alex Ross., art, comic book review, comic books, Conan, Gerry Duggan, Literature, Marvel comics, Richard Isanove, Ron Garney, Savage Sword of Conan, sword and sorcery, TLL, VC's Travis Lanham. 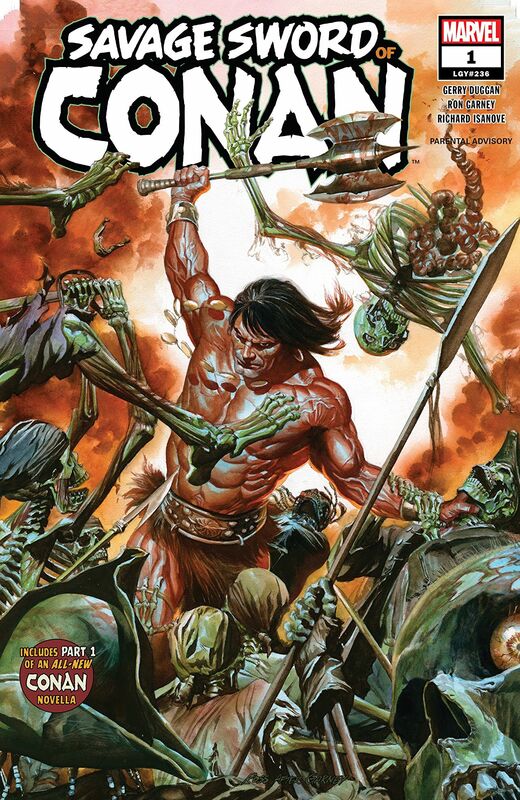 When I was looking for a new series this week, the brutal cover art of Savage Sword of Conan caught my attention. My main memories of Conan are of Conan The Adventurer, the 1997 TV series that was on when I was a kid. I don’t remember too much of it, other than Conan being tough as nails about 98% muscle. I definitely enjoyed it as an 11 year old, but who knows if it will hold up 20 years later. Conan is sitting in a life of luxury, a beautiful woman beside him, a feast before his eyes, drinks a plenty and a roaring fire… except something is wrong, the smell and the taste are most foul… Conan is actually awash at sea, shark meat in his mouth, at the whims of Crom, perhaps the front runner for least sympathetic god I’ve come across in comic books. The tone of the comic book is absolutely reminiscent of the TV show I remember. It sets up the story for a brutal adventure that will take all of his strength and fortitude to survive. Conan is thrown right into the deep end, finds himself with literally nothing yet turns the situation around in no time, only to face harder and harder challenges. The dark tone of the comic is emphasised by Garney’s masterful artwork. 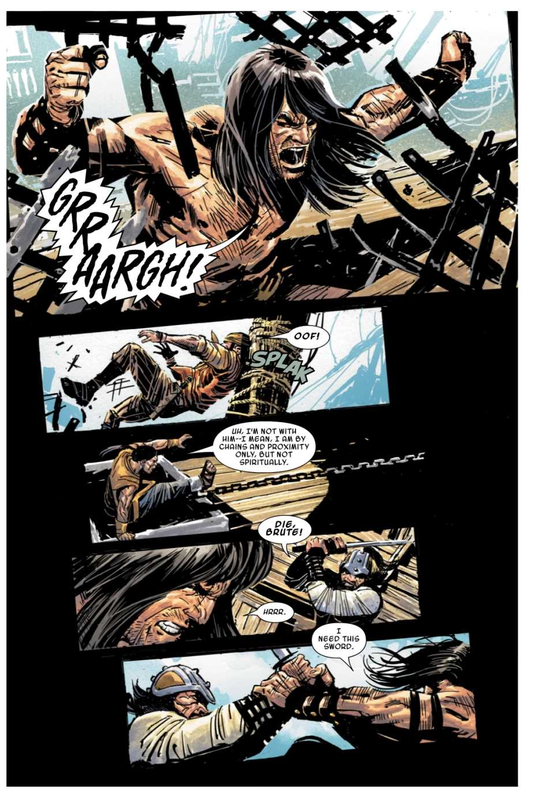 There is a fantastic two page spread where Conan is close to death and recovering slowly, in and out of consciousness. The panels alternate between chilling artwork and black panels with simple text between them. This array in the comic shows off the skills of Duggan’s story writing, Garney’s art, Isanove’s rich colours – his shadow work in particular building the grungy, darker tone and Lanham’s lettering very effective in its simplicity. When the story gets more monstrous Garney and Isanove work well together to bring the beasts to life. If you want a change from the regular super hero comics, that still feels properly epic in scale with high stakes then Conan fits the bill perfectly. 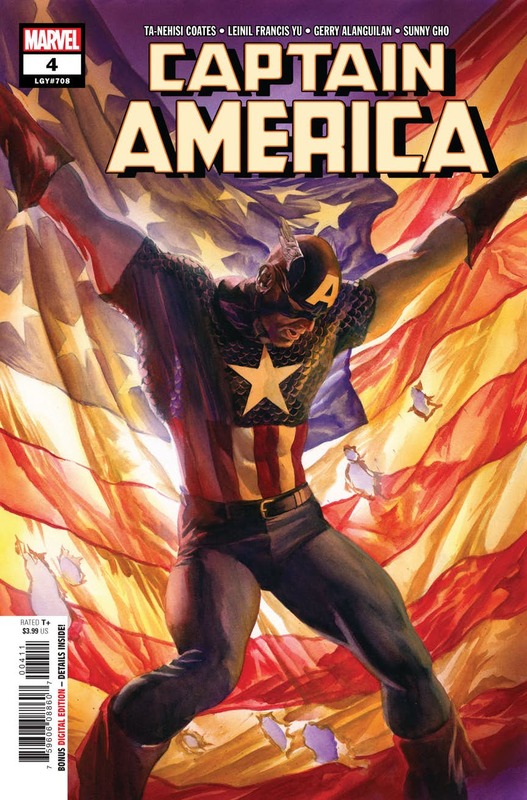 The adventurous tone of the comic book makes it a fun, if dark at times, romp. The series has the classic feel of sword and sorcery and feels a lot like a solo player DnD campaign. The art is also outstanding and is set to be a real highlight of this series.